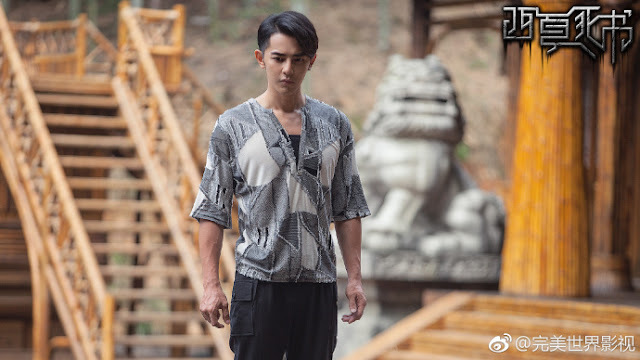 Jiro Wang is back with another action adventure drama, Death of the Book: The Western Xia Dynasty 西夏死书, which seems to be in the exact same genre as his last drama Rakshasa Street. 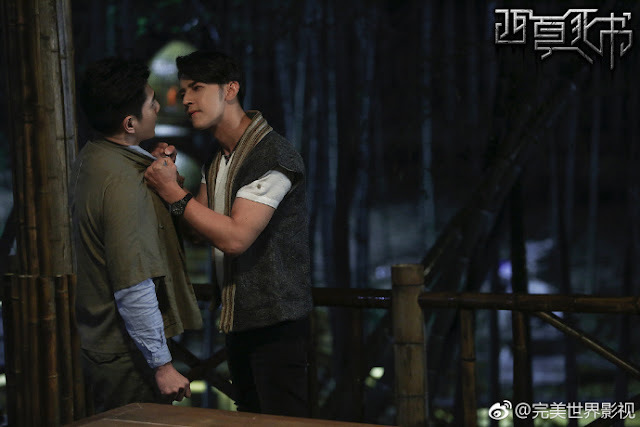 I have not seen a lot of his action adventure dramas, but he will always be memorable to me for his role in Singles Villa as the lovable best friend, Bo Yuan, and how he resembles Mandark from Dexter's Laboratory (haha!). This new drama is directed by Allen Lan and also stars Jia Qing (The Legendary Tycoon), Hero Tai, Wu Jiani (The Avengers), Tian Lei (Red Rose), Liang Jie (The Eternal Love), Ares Wu (Legends of Monkey King), Chunyu Shanshan (Wolf Warriors 2) and Shu Chen (Lady Meng is Here). 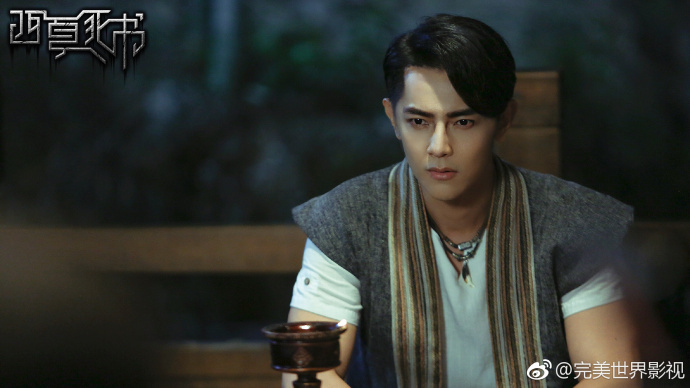 Jiro Wang is our main protagonist and he plays Tang Feng, a university student of Archaeology who was attacked during an extreme sport event. I am definitely getting a young Indiana Jones vibe from the stills, the synopsis and the trailer so this should be an interesting show to watch out for. It has all the hallmarks of an Indiana Jones movie that we all love - mystery, explosions, dangerous stunts and amazing landscapes.